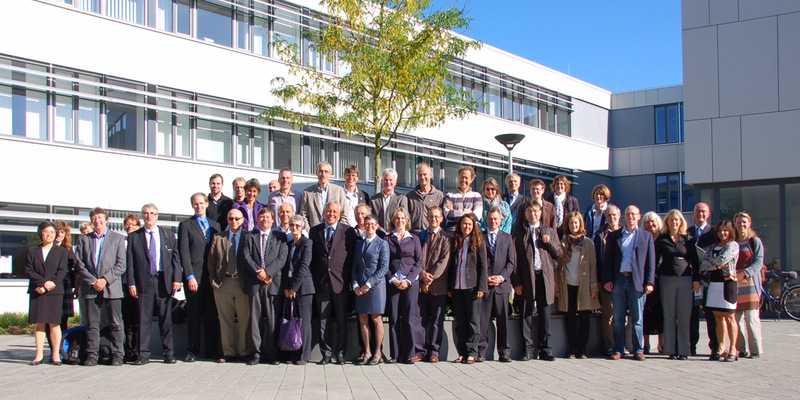 In order to explore the possibilities of a future cooperation, members of staff and scientists of both universities are meeting in Kiel. During business meetings they have exchanged ideas on Marine and Life Science and a modern university and science organization. The Canadian delegation consists of twelve members and is presided over by Vice President and Provost Carolyn Watters. On Thursday, September 13, Kiel University’s Vice President Thomas Bosch, responsible for Science and Internationalization, and Vice President Carolyn Watters of Dalhousie University, signed a Memorandum of Understanding. The ceremony was attended by Canadian Counsellor for Science and Technology in Germany, Jennifer E. Decker. 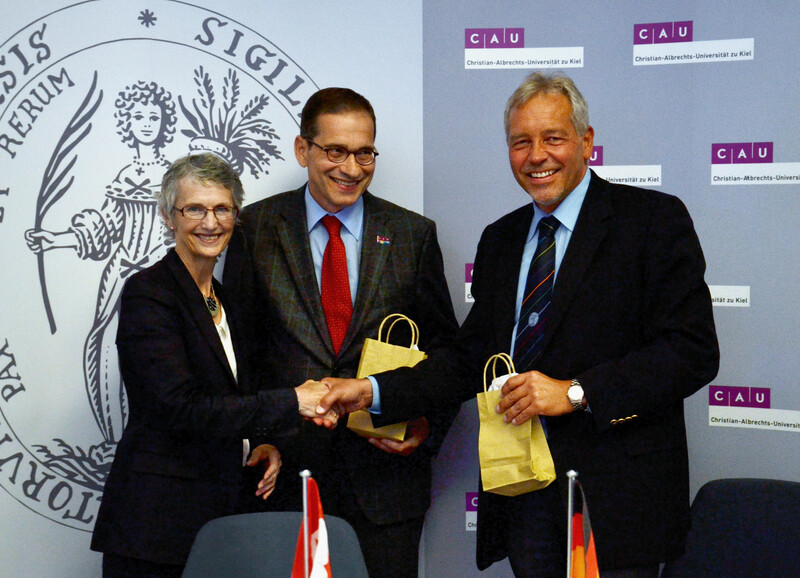 The Memorandum will lay down key points for the further development of the partnership between Dalhousie University and Kiel University. After the first day of the Workshop, Bosch described discussions with the Canadian colleagues as productive, constructive and educational. “In the Life Sciences Dalhousie has similar strengths to Kiel University: it, too, is concentrating on understanding the interaction between microbes and host organisms, with the focus on an evolutionary-biological approach to genome analysis”, explained the Vice President. “Like Kiel, Dalhousie is concentrating on understanding the environment's role in health maintenance and the outbreak of diseases. The Workshop gave all participants valuable impulses for their future work and has helped to establish the new scientific field of ‘Environmental Genomics’”. Caption: With their signatures Vice President of Dalhousie University, Dr Carolyn Watters (left) and Vice President of Kiel University, Professor Thomas Bosch (right) agree to a close collaboration. President of Kiel University, Professor Gerhard Fouquet, looks on with satisfaction. Caption: Learning from each other – growing together: Participants of the Joint Workshop of Kiel University and Dalhousie University.